After tens of thousands of trials, you make your own super weapon and have your name recorded in it forever. Though you cherish it very much, you may forget it in cruel combats. When the weapon has been worn out completely with 0 Durability, you may not feel so good. The normal repair can't help it anymore. 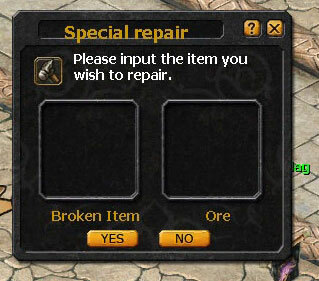 You will need the special repair. The Special Repair Preston can repair equipment with Durability 0 (market 326,515 ), which gives your equipment new life. As your equipment has been worn out completely, you need to give Preston both money and some ores to repair them. Equipment of refined, unique, elite and super quality need iron, copper, silver and gold ores respectively. 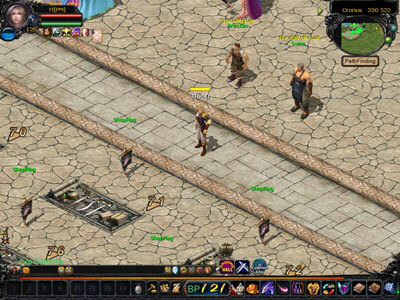 To repair the equipment of normal quality, you only have to pay some gold. You can get ores from the mine (Cronus, 429, 237). Remember to get yourself tools first. (You can buy it from the groceries.) The ores have several rates: Rate1 is the lowest, Rate10 Highest. Only Ores of Rate5 or above can be used in special repair. 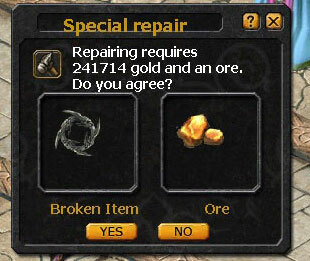 The special repair is more likely to succeed with higher rate ores. 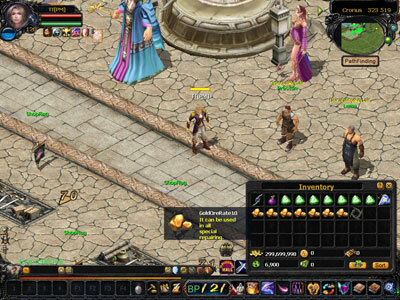 You can make some money by selling ores below Rate5 to shops. 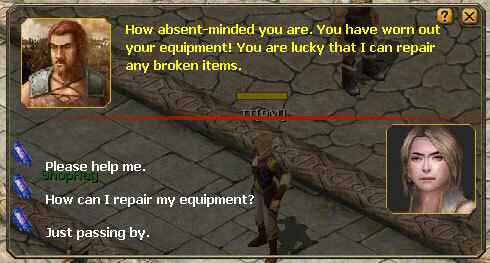 Though there's the special repair system, please cherish your equipment like your own eyes. Only the one that love his/her equipment can get victory.